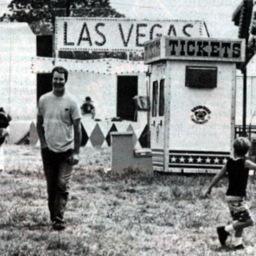 While the first fair advertised a family friendly atmosphere, the entertainment hasn’t always been so. During the first half of the 20th century the fair was a popular place to get some illicit alcohol and place an illegal bet on the horse races. For several years in the 1950s and 1960s alcohol was legally served in the crops building and later at fair shows. The famous, or infamous, girlie shows were a fair icon for over 70 years. Many members of the community recall the “Las Vegas” tent and the strippers inside. They closed in 1994 after a long running public battle. What do you think about this type of fair entertainment?